"Pokemon Global Revolution is a small indie game developed by Pokemon fans for Pokemon fans." 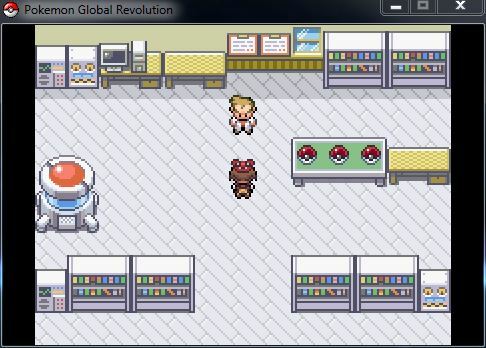 Pokemon Global Revolution is a small indie video game for Windows developed by Pokemon fans for Pokemon fans. This game features classic graphics and turn based combat battles. In Pokemon Global Revolution, you play as a Pokemon trainer trying to collect all of the Pokemon, as expected from the original Pokemon game. Pokemon is a very popular card game that originated in Japan back in 1996. It is one of the most played card games in the world, and has a very large fan based behind it even to this day. In the card game, you are encouraged to collect all of the possible Pokemon cards to battle your friends while you play the card game together. With this concept, many games have been developed to play the game in a more visual way, but in the exact way you would in the card game. 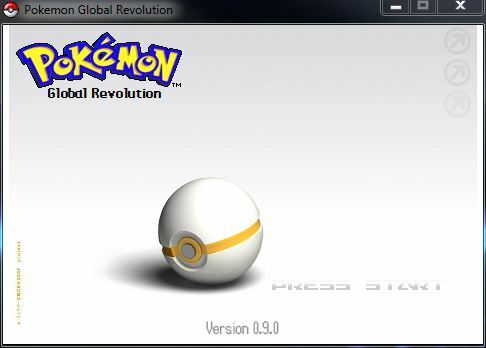 Pokemon Global Revolution is one of those games. In the Pokemon Global Revolution game, the player plays as a Pokemon trainer whose goal is to collect the various Pokemon available in the battles that you fight. These Pokemon come in many different races and all have their own unique story behind them. Some of the Pokemon are extremely powerful and dangerous compared to others, which are the more highly preferred Pokemon to capture. However, the more powerful they are, the harder they are to defeat to capture. Start with your favourite Pokemon: Pikachu, Squirtle or Charmander! This game is very straight forward and exactly what you would expect from Pokemon games. If you are an avid Pokemon fan, it will not be hard for you to jump right into the game and feel right at home. As a fan, you will probably not be disappointed with this game, especially if you appreciate it's retro graphics and gameplay. Pokemon Global Revolution is meant to be played in an offline environment, just as you would have played then in the older games. The game acts as if it is an official release in the Pokemon series, but of course it is an indie game. As with the others, there is a disconnection between the other storylines and you start off as a young Pokemon trainer awaiting to start their journey in this new storyline this indie game has to offer. When you start the game, you can choose from six different characters. Each of the six characters have their own unique powers and skills that the possess, and you get to choose which ones you prefer. Then you are off to explore the Hoenn Region, which is the region that begins at Littleroot and ending at Slateport - here you will be able to see all of the badges that you have collected throughout your journey in this fantastic indie Pokemon game. The controls in Pokemon Global are pretty easy to learn, especially if you have played Pokemon games in the past. The keyboard controls are pretty straightforward, and these controls are explained to you at the beginning of the game so you do not get lost trying to play the game. The last thing we want to do is try to figure out all of the controls in the game while we play it - we would rather be able to know these types of things right off the bat so we do not have to worry about it. Take some time out and try out this unique indie Pokemon game, Pokemon Global Revolution game download!